Time for some foodie update that I been to, Redcups Coffee that located at Paradigm Mall. A small cozy cafe, but serves the best coffees and cakes in the mall. Thanks Kiplepay for the invites to this review. 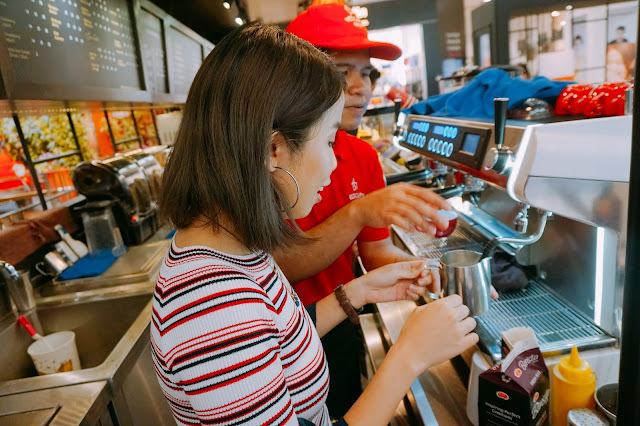 Redcups Coffee now is now cashless merchant with Kiplepay apps. Wanted to know more about Kiplepay? 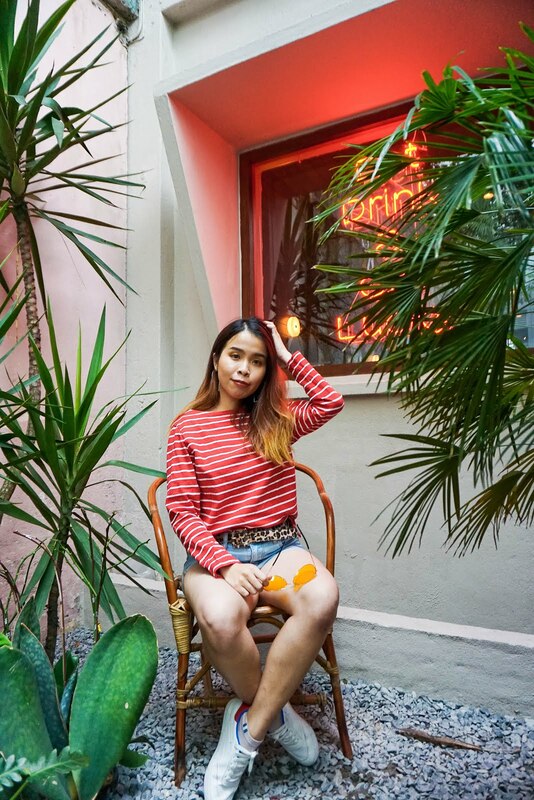 Remember to visit their website and download their apps for Android user and Apple user to check out more deals and pay conveniently with your mobile wallet. 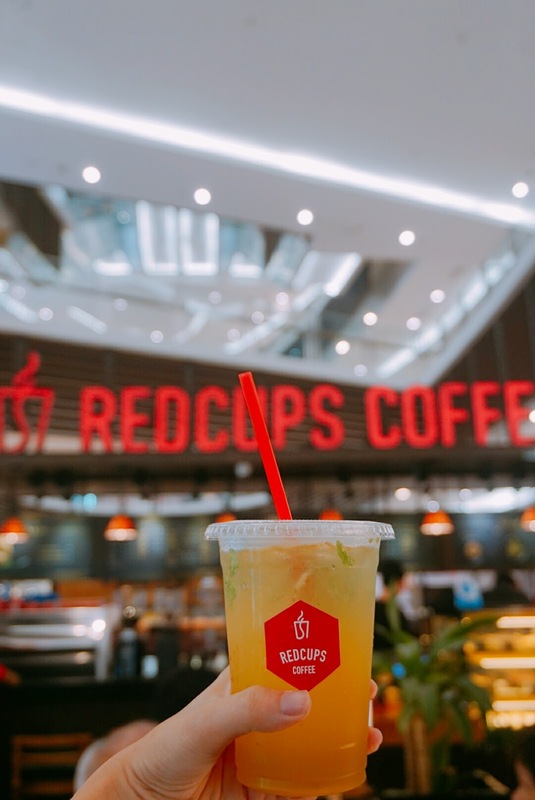 My Tropical Mojito from Redcups Coffee. A refreshing tropical taste to wake me up from the dizzy morning. This drink is the sour and sweet combination drink. Although sour taste stands out more, but still able to give the chilling and refreshing aftertaste! When it first serve, we are like wow look at this super huge portion of this platter. 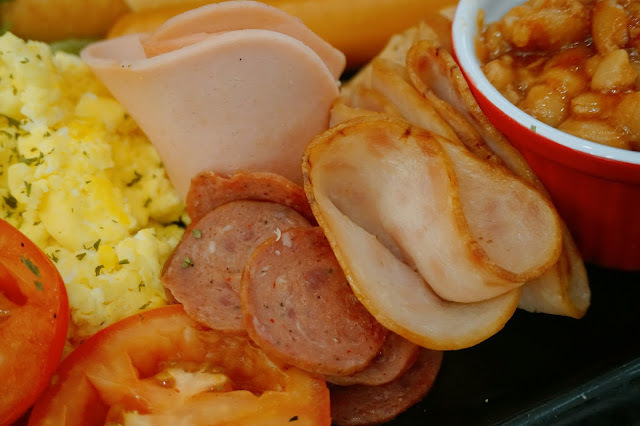 Suitable for 2-3 servings which is suitable for brunch serving. The hams serving is so generous, each slice is so fresh and tender. 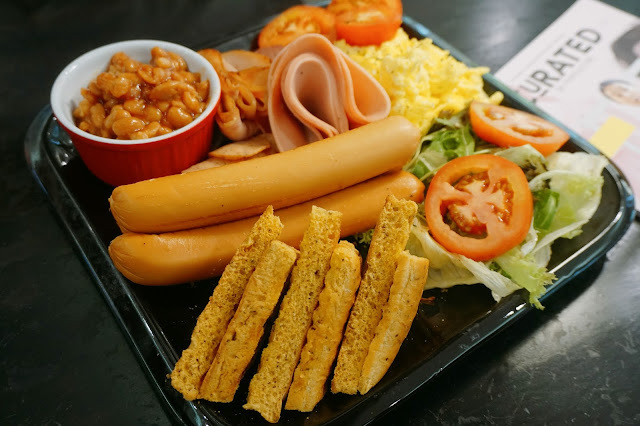 Not only that the sausage is special handpick the manager, which is so chewy and filling too! 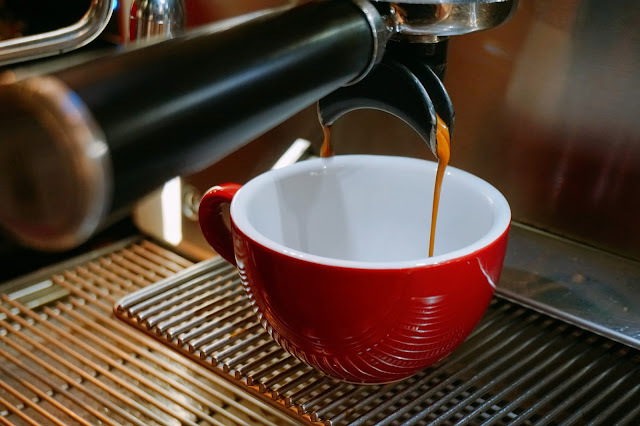 Besides we get to enjoy the food and drinks they serve, we also have the chance to make our own coffee ourself. 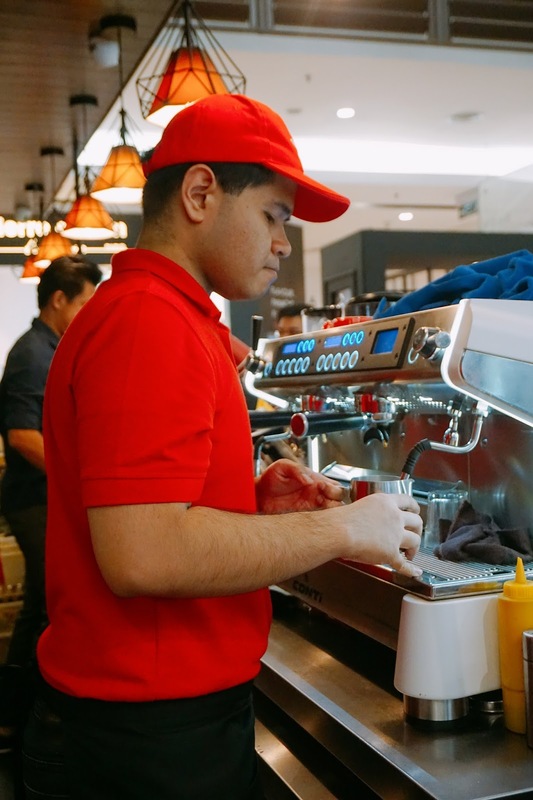 Thanks for the invite and letting us try out this making coffee experience, never been easy and I think I definitely screw out the latte art at the end. 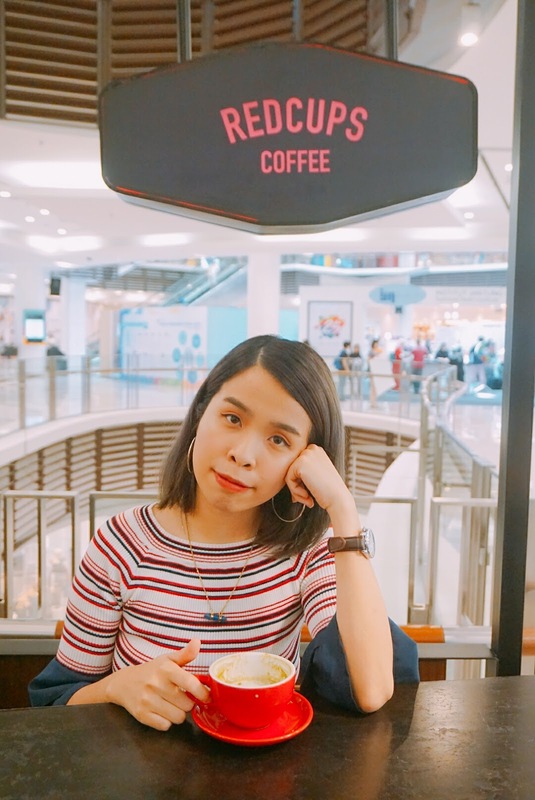 Although I am not a coffee enthusiast, I totally love the coffee they serve in Redcups Coffee. 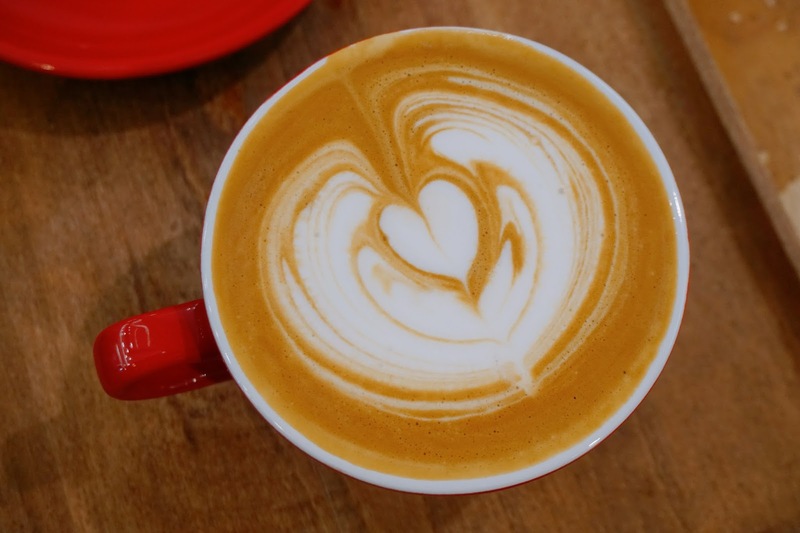 Upon sipping, your mouth will be filled with the coffee aroma. Even after a cup, the aroma of the roasted Arabian coffee beans will still remain in your mouth. 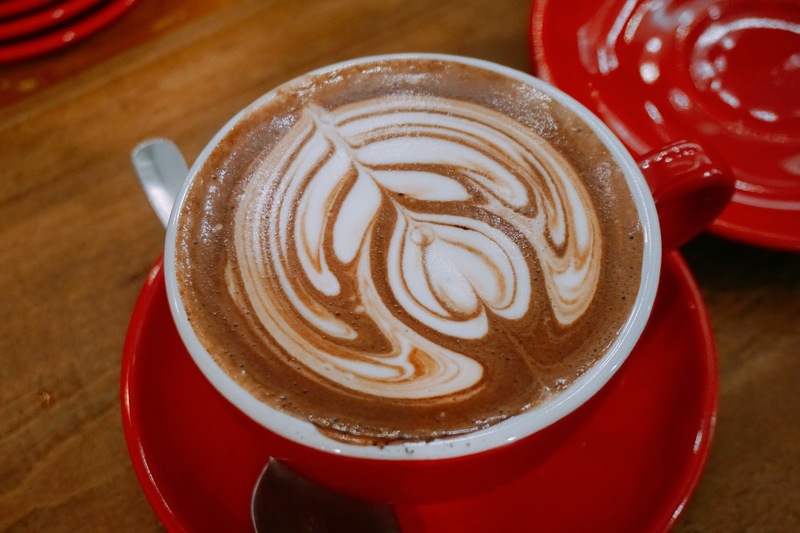 Definitely, a cup of addicting coffee to enjoy. One of their signature chocolate drink! Next time, I would love to enjoy this when I drop by there again. 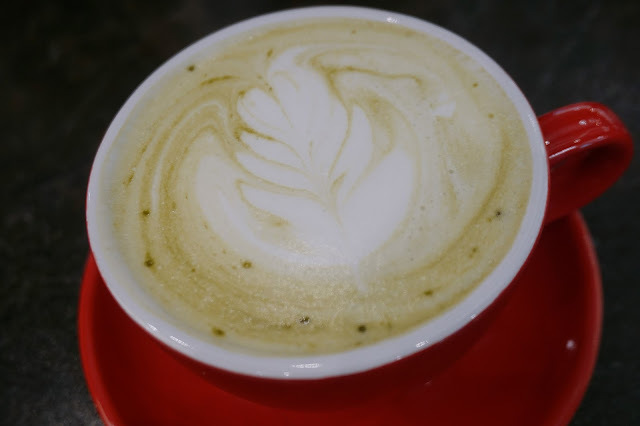 Smooth Matcha and Milk combination! Always my favorite since I am not able to consume too much of coffee. One of their best selling cakes! Also all of our favorite pieces, sweet and cheesy taste in my mouth. 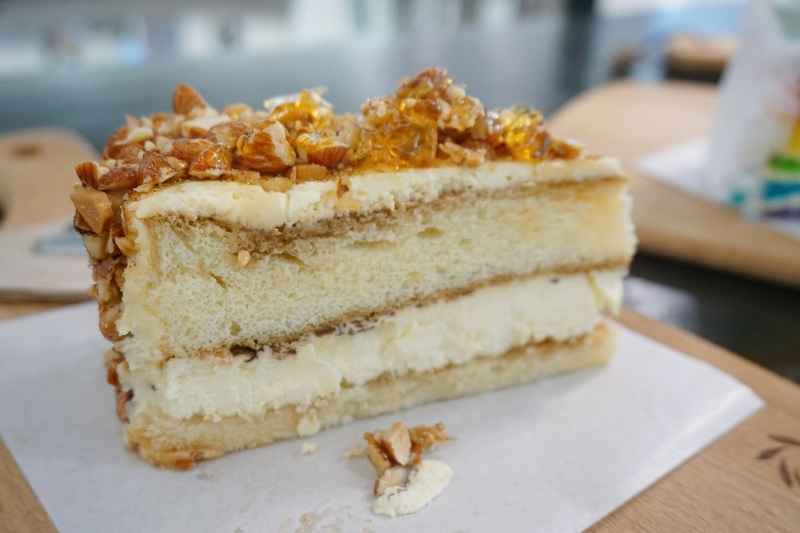 I love the crispy nuts with caramel, which gives a lot more texture when you eat this cake. Marshmallow Rainbow Cake to the rescue! This cake is way too cute and not as sweet as I expected. Love the spongey cake later with the layered cream. 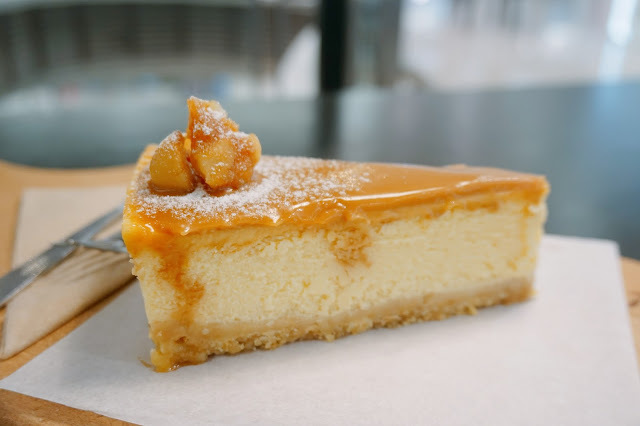 Personally feel that this Caramel Cheese Cake is too sweet! But nevertheless, it was also a yummy cheesecake for those who love cheese. Thanks again for Kiplepay and Redcups Coffee for this awesome brunch moment. Definitely will be back here for more coffee and cakes! good to know of this, I get invite too but that day is busy day. I didn't go as I have other plan on the day, I like to drink coffee too. Their coffee is so nice!! Yes! The portion and serving is really nice! Wow!! The breakfast platter looks so delicious and mouth-watering. I really want to try it. It makes me hungry and craving for these foods. I'm glad you shared this. 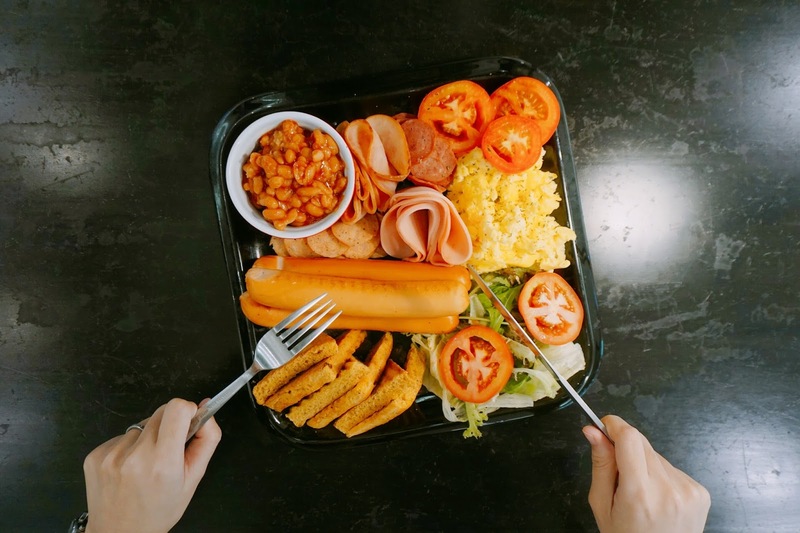 Their breakfast platter looks delicious. definitely will bring my friends to go check out this place. Perfect place for brunch and breakfast!! That breakfast platter sure looks yum. Will surely drop in sometime in the near future! 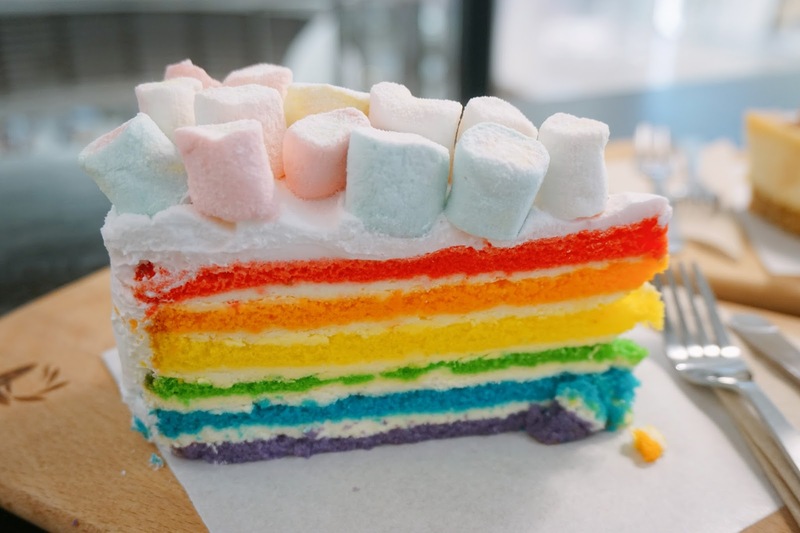 And that rainbow cake, yum! I enjoy going to Paradigm Mall because it is near my friend's place. 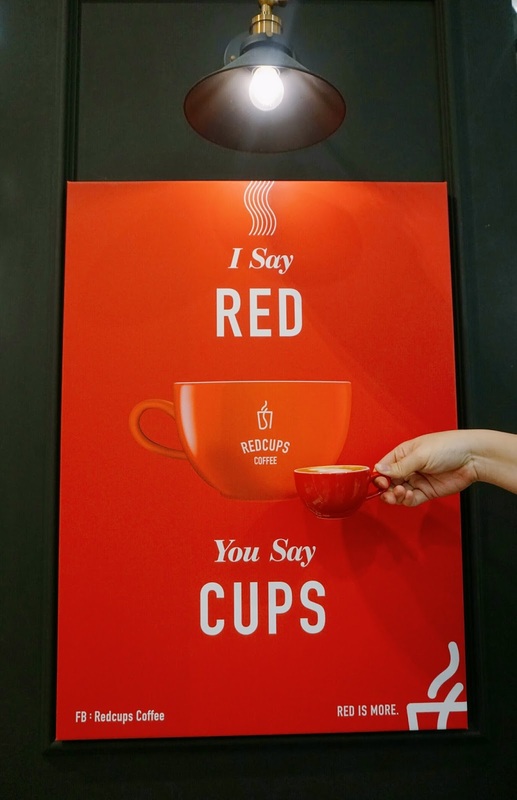 I will drop by Redcups Coffee when I am in the area. okay, i need that breakfast platter now. everything i love on one platter, how nice can that be.. yummy! Yes me too! Yummy and fulling too!! I try my best to serve you! 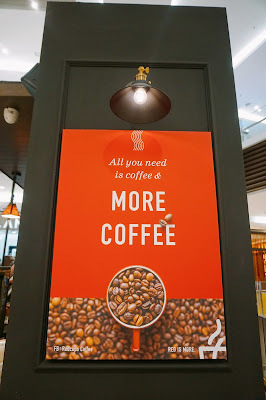 haha If you are a coffee lover, this place is perfect for you!